While the Center handles several adult eagles every year, both Bald and Golden Eagles, we have never had a baby eagle until this year. Earlier in the year when Tennessee was subjected to several weeks of severe weather, a possible tornado in Benton County near Camden blew down a tree that housed a well-established Bald Eagle nest. Upon inspection by agents of the Tennessee Wildlife Resources Agency, a single young eaglet was discovered in the destroyed nest. The bird was brought to Memphis where it was given a thorough medical examination by David Hannon, DVM. 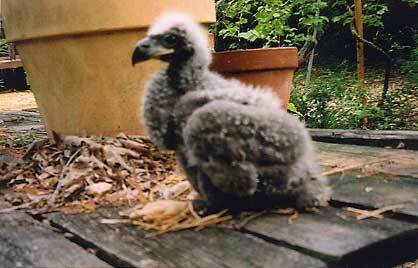 Once it was determined that the bird was in good health it was turned over to the Mid-South Raptor Center. The bird was initially fed by hand as it was still too young to eat on its own, but after a few weeks it began eating with no help from us. A diet of fish, mice, and meat was fed twice daily. The bird was at first housed in a small cage, but as it grew it was moved to a more substantial cage. It is currently more than doubled in weight and size. Once it has reached releaseable age, it will be moved to Reelfoot Lake State Park for release back into the wild. Reelfoot Lake is a perfect spot for release as there are a number of resident eagles there and an abundant supply of food for the bird, both fish and waterfowl. We hope to release the bird in the fall. 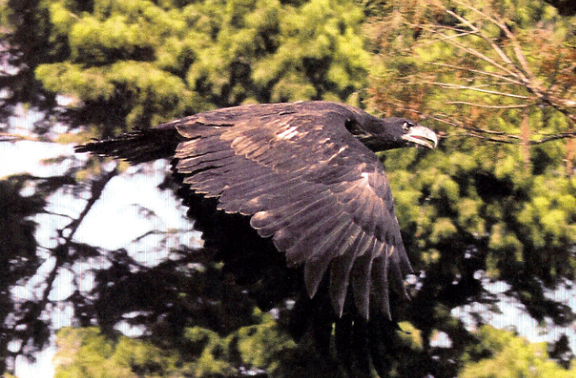 The young Bald Eagle was released at Reelfoot Lake State Park in Lake County, TN, in October of 2011. 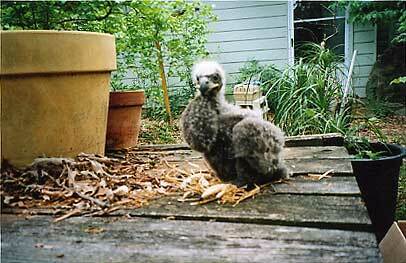 Juvenile Bald Eagles do not get the white head and tail feathers until they are at least five years old.